To cut waste, calculate the amount of fish you really need before shopping based on the recipe you'll be following and portion sizes. It will also help to have a plan for any leftovers, such as a brown bag lunch the next day. Be sure the seafood is fresh when you buy it. At the store, it should be refrigerated or displayed on ice in a case or under a cover. 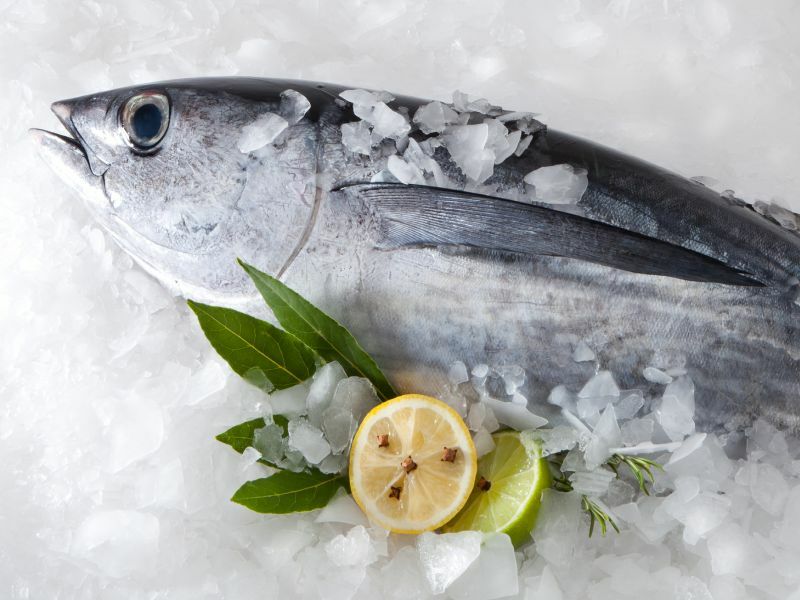 Fish should smell like the sea, not fishy or ammonia-like -- those are signs of spoilage in raw or cooked fish. The eyes of whole fish should be clear and bulge slightly. Flesh should be shiny, not slimy, and spring back when pressed. Shrimp flesh should be translucent. Consider buying frozen seafood, like bags of shrimp, which can be economical and used as needed. At home, store fresh seafood properly so it won't spoil before you can eat it. If you'll cook it within two days, you can put it in the fridge, optimally on ice. Otherwise, wrap it tightly in paper and then plastic, and freeze. Thaw frozen seafood gradually in a fridge overnight. If you're in a hurry, place it in a sealed plastic bag and immerse it in cold water. If you'll be cooking it immediately, you can microwave it on the defrost setting, but stop when the fish is just pliable and still a bit icy.